I lived in Bewdley from 1976 to 2011 and discovered that there was a charter given to the town by King Edward IV in 1472 and that in 1972 the town had held some very successful Quincentenary celebrations. I found a book called “Bewdley: A Sanctuary Town” in the town library. This stated that King Edward IV had granted the charter in recognition of the fact that the bowmen of Bewdley had fought for his brother, Richard, Duke of Gloucester, at the Battle of Tewkesbury in 1471 and that he had also made Bewdley a sanctuary town. In those days my knowledge of the Wars of the Roses was very limited due to the fact that while studying our country’s medieval history I had not been very attentive at school. In Ribbesford Church, which is the church associated with Tickenhill, there is a window that has fragments of medieval glass. There is very definitely a boar and something that could be a falcon and fetterlock. The boar is a St Anthony boar and in a discussion with Geoffrey Wheeler, a prominent member of the Society, we decided that it probably wasn’t anything to do with Richard. However, since then I have discovered that Richard took the St Anthony boar as his badge when he was younger and his motto in those days was “Tant le Desiree” which means” I have long desired this” or “I have desired this so long”. So possibly the boar at Ribbesford has something to do with the young Richard. Bewdley was on the road to Ludlow as there was a ford across the River Severn so it is possible that the York family stayed at Tickenhill on their way to Ludlow. Leland says that in 1483 King Richard III gave 20 shillings towards the building of the first Bewdley Bridge. Is it possible that he came to Bewdley on his Coronation journey? It is not that far from Worcester. I attended a Heritage Open Day at Bewdley Guildhall and saw King Edward’s charter for the first time. A friend of mine, Graeme Wormald, was there on that day and he introduced me to the then Town Clerk David Flack. Graeme told us that he had been Mayor of Bewdley when the charter had been found. It was found, when the old Borough Council offices were being converted into flats, in a pile of boxes, which had been damaged because they had been stored in a damp shed. Some workmen found the charter along with others given to the town by King James I and Queen Anne. All the beautiful colours that would surely have been on them were washed away. They were rescued and we are very lucky to have what remains today. Fortunately David was very interested in history and when I told him about the society he agreed that the Worcestershire Branch could visit the Town Clerk’s office to view the charter. I liaised with him and this resulted in Pat Parmenter, the Worcestershire Branch Social Secretary, arranging the branch AGM at the George Hotel in Bewdley and booking a time beforehand to view the Edward IV Charter at the Town Clerk’s office. That appeared to be that, the Branch had explored the Ricardian connection as far as it possibly could and Ralph Richardson, the Worcestershire Branch Chairman, wrote to David Flack and asked permission to include Bewdley in the new publication of Ricardian Britain. David very kindly agreed. However, that was not all. The Worcestershire Branch always mans a stall at the Tewkesbury Battlefield re-enactment. The 2003 re-enactment was slightly different because Dr Michael Jones, the author of “Bosworth 1485 Psychology of a Battle”, was attending to give several lectures based on his book. It had been arranged that we would take it in turns to man the stall and to attend some of the lectures. The first lecture was entitled Medieval Battles and Chivalry: A Code of Conduct? which set the scene for his second lecture Richard III as Military Commander: The Battles of Barnet and Tewkesbury. Dr Jones said that in medieval times there was no regular army but that men fought for the lord of the manor near to where they lived or could be ordered to fight when the King instigated a commission of array. Throughout medieval times Kings and great lords were too grand to know who had actually fought for them in any particular battle. They would obviously remember the names of the nobility but not the humble soldiers. Edward IV was no exception to the rule perpetuated by his predecessors. There was however one exception, King Richard III. This was evidenced by the fact that in 1477, while still Duke of Gloucester, Richard “made an endowment to Queens College Cambridge that not only honoured the memory of his father and brother Edmund, killed at Wakefield, but also remembered by name the relatively humble soldiers who had fought and died under his standard at the civil war battles of Barnet and Tewkesbury on 14 April and 4 May 1471. Richard’s bond with these former servants went beyond the contemporary norms of due respect and gratitude. Here he showed a keen personal regard for them”. Dr Michael Jones: Bosworth 1485 Psychology of a Battle Tempus Publishing Page 101. The remainder of the lecture was equally as fascinating and so I did not think of the significance of Dr Jones’ words until I returned home that night. I had always assumed that Edward knew that the Bewdley bowmen had fought in the vanguard at Tewkesbury with Richard and that was why he rewarded the town with a charter, but obviously this was not the case. So the only other explanation was that someone had told him and that someone must have been Richard. The next morning, back at the re-enactment, I asked Dr Jones if he thought that my deduction was right. He said that he thought that it was and it was good to have some other evidence of what he had been saying at his lecture. Later on in the year Bewdley Civic Society had another heritage day and the council regalia and all the treasures that belong to the town were on display, including the Edward IV Charter. Again Graeme and David were there and I told them about the Dr Michael Jones lecture and they were very interested. I started to actually read the charter and was very disappointed to see that the charter had been granted after “humble supplication” from the Burgesses of Bewdley and no mention of Bewdley bowmen fighting for Richard Duke of Gloucester. However, Graeme assured me that this was the way that charters were applied for, and the fact that the charter also says “on account of certain considerations very moving to us” is a clue to his reasons for granting the charter. I believe that this proves that Richard was an unusual man for his time. He appeared to care about the people under his command and obviously wanted to reward them for their efforts on his behalf during what was an extremely hard task leading the vanguard at Tewkesbury. The 1472 Charter had allowed Bewdley to hold a market and this would have increased the prosperity of the town and made it a flourishing market town. It is a great shame that the Charter didn’t survive in its original glorious colour like the King Richard III Gloucester Charter but at least it was saved when it could so easily have been thrown away. As I mentioned before Leland says that Richard contributed 20 shillings towards the building of the first Bewdley bridge in 1483, so even when he was going through a huge upheaval in his life and indeed the country was in turmoil, he found time to donate money to the town whose bowmen had helped him to success in the Battle of Tewkesbury twelve years previously. Really enjoyed reading this. Thank you. Loved this! Thank you. I heard about Tickenhill and the Charter a couple of years ago and as I live not too far from Bewdley was really thrilled to find out about the connections. Would love to se the Charter – hope it is carefully being looked after now! The charter is now on display in Bewdley museum for all to see. Along with a model of the bridge that King Richard helped fund. Thank you for an very interesting article! The FIRST bridge at Bewdley is actually thought to have been built in about 1447 – possibly at the instigation of Richard III’s father who was then lord of the manor and who had certainly been in the town in October 1446 when he wrote letters from there. This first bridge was destroyed sometime before the end of November 1459, possibly in the aftermath of the Battle of Ludford Bridge and probably as both insult and injury to the duke of York. Henry VI granted the stones of the bridge to the bailiffs of Worcester to repair their own bridge and the city’s walls and gates. The bridge at Bewdley appears to have been repaired (possibly in timber rather than stone) by at least 1465 as the manor accounts from 1472-73 mention the town’s freedom from paying bridge rent to the Crown during that and the seven preceding years. (Edward IV had inherited the manor of Bewdley from his father.) The same accounts acknowledge a twelve year old debt of £6.8s. owed to the town bailiff for household expenses of the former lord of the manor – “expensis hospicii domini Ricardi nuper ducis Ebor[acensis]”. This presumably refers to Tickenhill and is perhaps further evidence (albeit not proof) that the duke of York did indeed spend time at Bewdley and thus his sons may well have had a soft spot for the people there. By the way, it was not Leland who mentioned Richard III’s gift to Bewdley for a new bridge in 1483. (What Leland did say was seemingly in reference to Tickenhill, namely: “I heard that Rich. E. of Marche and D. of Yorke builded there”.) And the gift was not 20 shillings but a considerably more generous 20 marks – i.e. £13.6s.8d. The reference to it is in the Harleian Collection (now in the British Library) No. 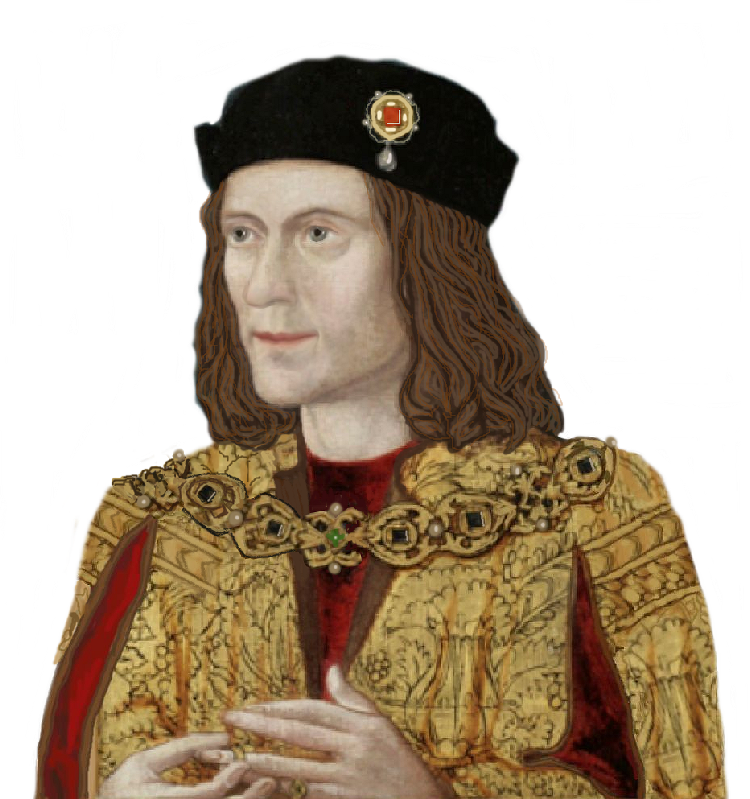 433 – A register of grants during the reigns of Edward V & Richard III. Item no. 1687 – Warrant to pay 20 marks, which the king gave towarde the making of the Brigge of Beaudeley, given the 4th day of February, anno primo [i.e. 1483/4]. A very interesting and well written article.